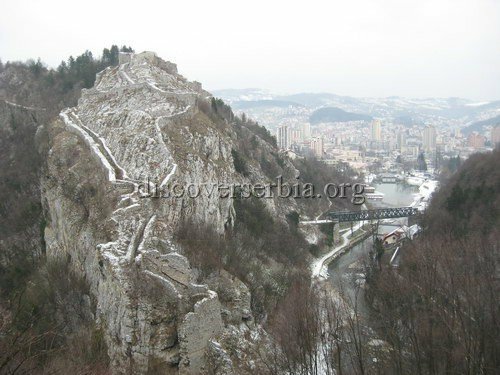 The fortification was built on a high sharp rocky cliff, rather difficult of access, which is surrounded by the river Djetinja. The road whock linked Serbia and Dubrovnik could be monitored and defended from the fortress. The first reliable sources about the fortess of Uzice date back to the middle of the 14th century. It belonged to the feudal family Vojinovic, and from 1366. to 1373. it was property of Nikola Altomanovic. Serbian prince Lazar and Bosnian king Tvrtko I had a conflict with him and he was captured and made blind in the fortress in 1373. Significant fortifications were made during the Austrian – Turkish wars in 1688. and in the period 1737 – 1839. At the time of drivingthe Turks out of Uzice in 1863. it was made useless and ruined.